June Lake Loop: June Lake Loop Fishing Report! Carson River - East Fork (CA): Alpine County Planted Last Week 1800 lbs of 3- to 10 lb Rainbows! Silver Lake: Consistently Produced a Steady Stream of 2 to 4lb 'Bows! Rush Creek: Nice Resident Browns! Lake Tahoe: The Early Morning Bite has Been most Productive! 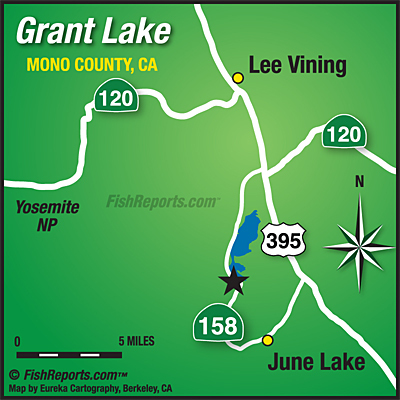 Caples Lake: The Fishing Continues to be Good for Trollers! Indian Creek Reservoir: The Lake has Got its Weeds Back! Carson River - East Fork (CA): I had Many Reports of 2 to 4 lb Rainbows!